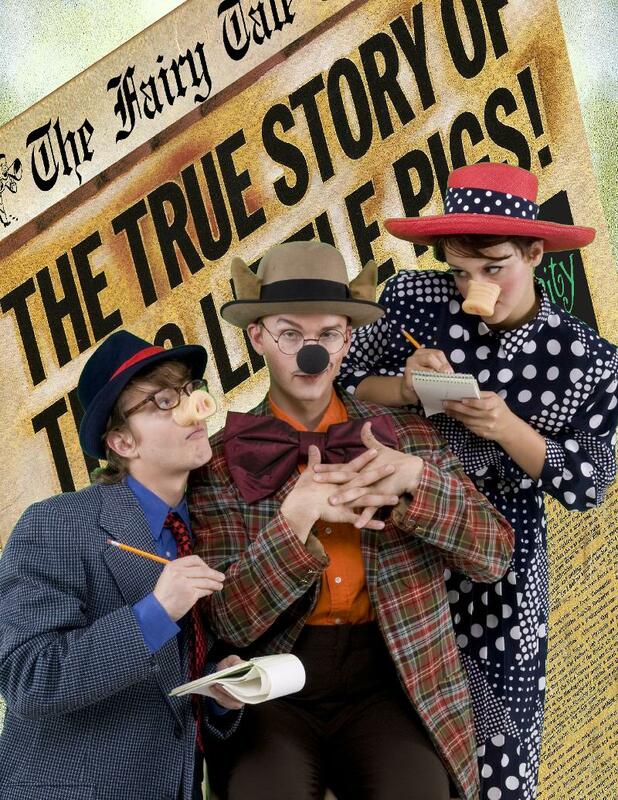 The cast of Emerald City's "The True Story of the Three Little Pigs"
Grab a kid and go. After all: it’s cheaper than taking the little nippers to an afternoon at the movies, and, I think, more mentally engaging. Not that I’m a child expert by any means — in fact, I’m the exact opposite of that — but, from what I saw around me when I attended Emerald City’s A Nutty Nutcracker Christmas last month, the kids LOVED it. The show runs January 16-March 25, 2010. More information here. Previous Post Mommy, where do playwrights come from? Next Post It’s Friday. Time for a finale!